Mexico’s Pacific Treasure welcomed the month of May with visits from actors, models, influencers, and fashion experts who came to enjoy its charms, its luxury, and its good vibes. The Riviera Nayarit continues to shine as one of the A-listers’ favorite places to go. It’s just a few short weeks before summer arrives, but already several celebrities have visited the destination, some for a little R&R and still others for work, but not a single one could escape the charm, the luxury, and the good vibes of Mexico’s Pacific Treasure. This is how, week after week, social media gets “flooded” with their images enjoying the sun, the warm beaches, and the comforts of the destination’s magnificent hotels, which contributes to its diffusion, since some of these celebriteis have millions of followers in their accounts. One of the most recent examples was a visit by the entire cast of the movie No Manches Frida 2, which was filmed on location here from May 6th to June 8th. Most of the filming took place at the W Punta de Mita, where the official “clap” of the slate was heard on Tuesday, June 5th in the presence of leading actors Martha Higareda and Omar Chaparro, as well as Itatí Cantoral, Aarón Díaz, and Raquel Garza, plus director Nacho G. Velilla and producer Mauricio Argüelles. The first part of No Manches Frida—produced by Pantelion Films—opened in September 2016 and become the 4th highest grossing movie in the history of Mexican cinema, raking in over 220.9 million pesos, while in the US it brought in $11,528,613, giving more than enough reasons for a sequel. Cast of the movie No Manches Frida 2, which was filmed on location here. In this respect, Marc Murphy, director of the Riviera Nayarit Convention and Visitors Bureau (CVB) and the Bahía de Banderas Hotel and Motel Association (AHMBB), said the filming of this movie represents a very important promotion for the Riviera Nayarit within the domestic and international markets, as it will be shown on 1,500 theater screens across Mexico, some countries in Latin America, and the United States in early 2019. Twenty-four-year-old Inanna Sarkis conquered thousands of hearts with her sensual moves as “Daphne Blake” and her interpretation of the song “Scooby Doo Papa.” She’s part of the group of influencers lead by Lele Pons and Juanpa Zurita, and has over 7 million followers on her Instagram account and 8.2 million followers on YouTube. Horacio Pancheri and Paulina Goto. Also in May, the W Punta de Mita hotel played host to Mexican actors Paulina Gozo and Horacio Pancheri. 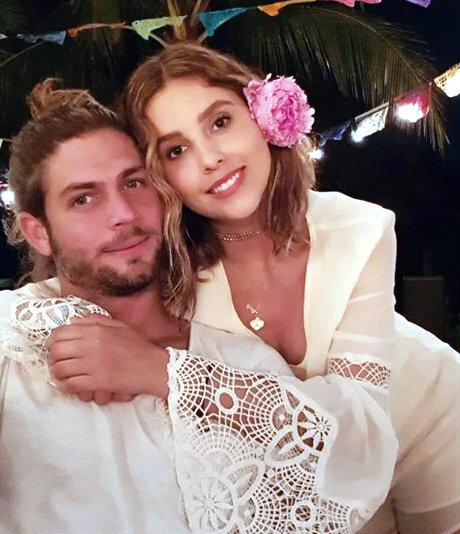 The charismatic couple, who recently celebrated their second anniversary, posted images on their respective Instagrams right away of the fun they were having on the beaches of the Riviera Nayarit. Both Paulina and Horacio are very popular on social media both individually and as a couple. Together they have nearly 4 million followers just on Instagram. “Thanks for your gorgeous beauty, Nayarit,” wrote Pancheri in one of the photos she shared, where she’s seen walking along the beach. In another post you can see the actors dressed in white from head to toe enjoying a Mexican theme night at the hotel. 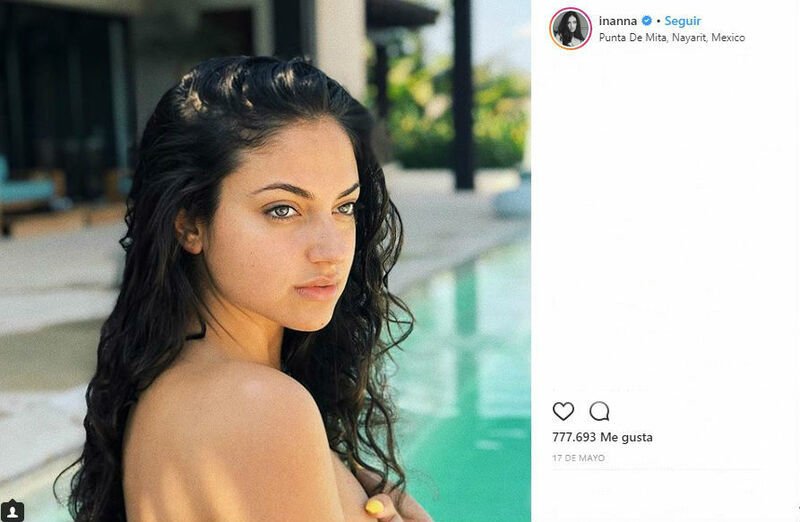 Mexican actress and model Susana Rentería, who rose to fame thanks to her relationship with singer Maluma, visited Mexico’s Pacific Treasure at the end of May, staying in a luxury hotel in Nuevo Vallarta, after which she moved to the W Punta de Mita. Susana Rentería began modeling when she was only 13 years old; she also participated in beauty contests and music videos including US rap singer Flo Rida’s very popular “Whistle.” She’s currently the owner of a fashion brand in Mexico City and has over 480 thousand followers on her Instagram account. 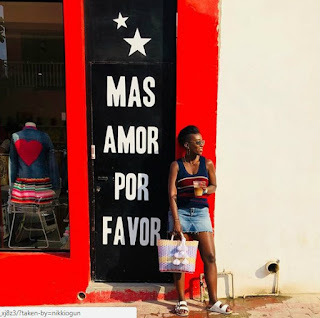 Nikki Ogunnaike, Style Director at ELLE.com, the biggest fashion and beauty website on the Internet, was in the Riviera Nayarit from May 25-29 at the W Punta de Mita hotel. The famous fashion editor, originally from Nigeria, represents the brand on TV and video, and has more than 26 million followers on Instagram. The Argentine actress, singer, dancer, and host Valeria Baroni was another celebrity who chose this destination to enjoy a few days of rest and relaxation. Valeria is known as the host of the Zapping Zone show, which transmits all over Latin America on the Disney Channel. She has over 387 thousand followers on Instagram.